Chocolate on Whole Wheat Toast was posted on May 17th, 2013 and is filed under Kid Friendly, Reviews, Snacks. This entry has 7 comments. You can follow any responses through the RSS 2.0 Comment Feed. cheese spread…I’ve been doing exactly that…spreading a thick, creamy layer of chocolate on my toast (crackers and fresh fruit are pretty yummy too!). Gaaah….people, it is so good. As we travel, instead of eating in restaurants, we usually just shop at grocery stores. I was excited to find my chocolate Philly spread. Nutella used to be my favourite thing ever (still kind of is), but now I like getting this instead. 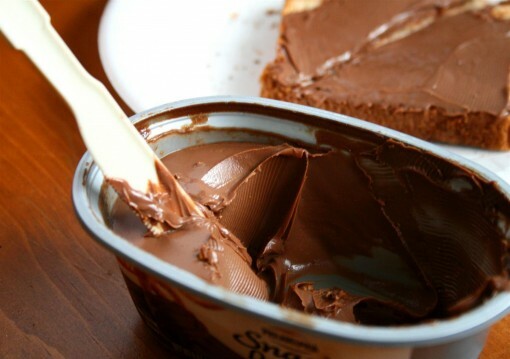 It’s half the calories and half the sugar of normal chocolate spreads…and still very delicious eaten by the spoon. I know this to be very true (grin). If you want to try it (you know you do!) as of May 21st, Chocolate Philly will roll out a coupon that can be downloaded from the Philly Facebook page. Also, they’re doing a Chocolate Philly’s FB Breakfast in Bed “Likes” Challenge. By using the power of social media and some friendly peer pressure, breakfast in bed with Chocolate Philly can be yours. Just post a status, get some likes, and then upload a picture to Chocolate Philly’s FB page. Get more details on their Facebook page. Have you tried the Chocolate Philly’s cream cheese? Do you like chocolate on toast? Disclaimer: This post is sponsored, but I only recommend products that I love or in this case, am obsessed with. I eat chocolate cream cheese on my angel food cake! So good! Actually, anything is good with that stuff on it!! And, yes, I sometimes eat it off a spoon. I make my own, though. Will have to try the Philly one. I saw an add for that stuff. It looks so decadent! How I would have loved it…. 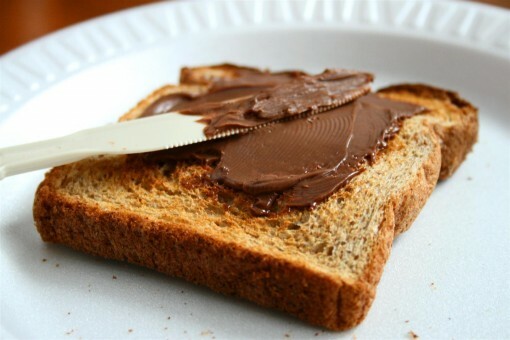 What could be a better eating way of chocalate which is melted in a toast. That looks amazing – I’ve never seen it before until this blog post!! Perfect for us chocolate lovers!